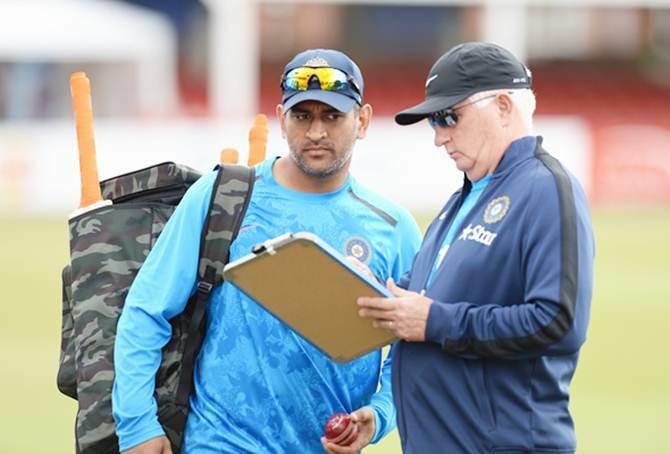 Two days ahead of their practice game versus Middlesex at Lord's, Team India regrouped with a net-session, with under-fire coach Duncan Fletcher and bowling coach Joe Dawes overseeing proceedings ahead of the five-match ODI series, starting August 25. - Fletcher should have been sacked! - Shastri team director for ODIs. Can he turn around fortunes? Interestingly, Dawes and fielding coach Trevor Penney were given a 'break' for the ODIs following the 3-1 Test series defeat to England. Though Dawes made the bowlers go through their paces, Penney just hung around without too much involvement. 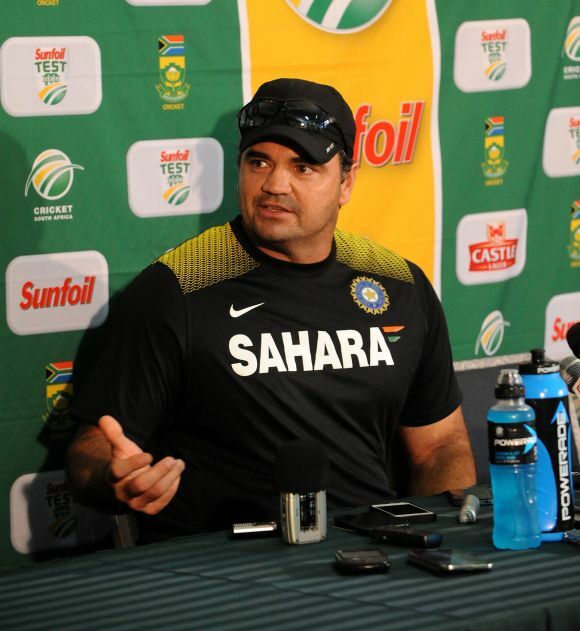 India's newly-appointed Team Director Ravi Shastri, who is also part of the Star Sports commentary team, was not around. Even the newly-appointed assistant coaches, Sanjay Banagar, a former India all-rounder, and ex-India pacer Bharat Arun, are yet to join the Men in Blue. In all probability they relieve Dawes and Penny of their duties on arrival in England. 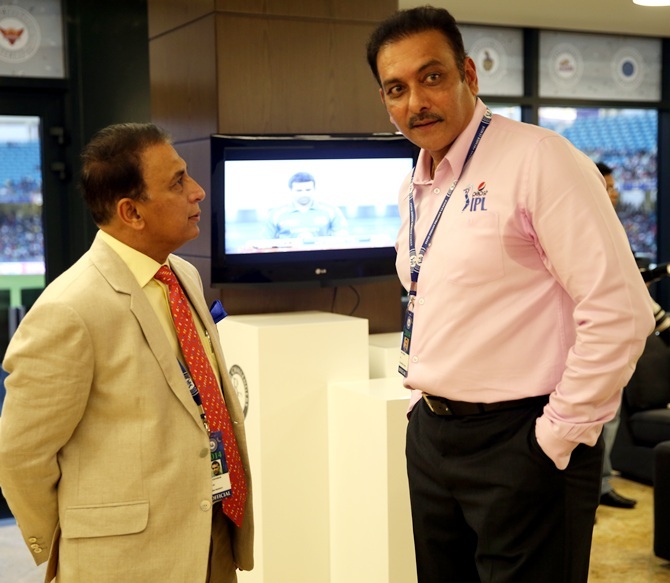 - Can Ravi Shastri turn around the Indian team's fortunes? Vote here! 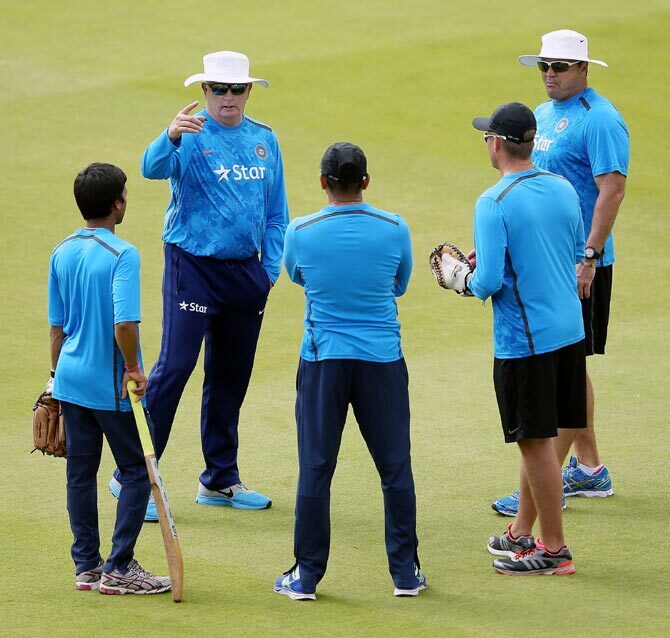 Team India, though, went through the customary drills, supervised by skipper Mahendra Singh Dhoni. The emphasis was on batting and bowling, but, surprisingly, the fielding aspect was given a miss. Many pundits believe the slip-fielding issue needs to be tackled at the earliest. Missed chances in the slips were one of the biggest reasons for India failing to make count the 1-0 advantage they had after winning the second Test at Lord's. Ravindra Jadeja dropping England skipper Alastair Cook at Southampton was the turning point of the series. That chance was spilled at third slip, and the following day Dawes went on record saying that 'despite being the best slip-catcher ever, even Mark Waugh dropped a few'. It wasn't an apt statement to describe India's slip-fielding woes. At the Oval, Penney had opined that 'this young unit has done very well in every department and the question of slip-fielding will find an answer sooner rather than later'. A day later, two catches were dropped in slips. Two days later, India surrendered the five-Test series after losing the final Test by an innings and 244 runs. "We want our best fielders to stand at those three positions," Dhoni had claimed during the course of this Test series on more than one occasion. It's been a constant process of chopping and changing, with the team management trying to find a permanent solution. Ravichandran Ashwin and Virat Kohli were present in the slip cordon at home versus the West Indies and then in South Africa, before being shifted out. Shikhar Dhawan, Murali Vijay and Rohit Sharma were in the slip cordon in New Zealand. Now, in England, a completely different set of fielders stood there, without encouraging results. "We are trying our best to find a solution to the slip cordon problem. We can only practice and get better, but we are also trying different players at this position. The batsmen are doing the job right now and, maybe, we might even ask the bowlers to give it a go. It will allow us to find the right combination in the slips," said Ashwin, after missing out on a slip position since being dropped for the first three Tests in England. One of the key features of India's abject performance in this department is the manner in which catches have been dropped at first slip. When Dhawan stood at that position in the first three Tests, he was standing back from the usual position by at least a yard, if not more. Whenever 'keeper Dhoni decided not to go for a chance himself, the ball fell short of the first slip. It was a technical fault, spotted and pointed out by Rahul Dravid on-air several times. It is ironical that his position at first-slip hasn't been filled in yet and the transition in this department is still ongoing. Dawes explained this phenomenon saying that 'Dhoni likes the first slip to be proactive and judge what catches he might be leaving'. It doesn't help though when different players stand there at different times. It has been observed that India used different fielders at first slip for medium pacers and spinners during the just-concluded five-match series. Dhawan or Vijay stood at first slip to the quicker bowlers while Rahane stood at first slip to the spin bowlers. 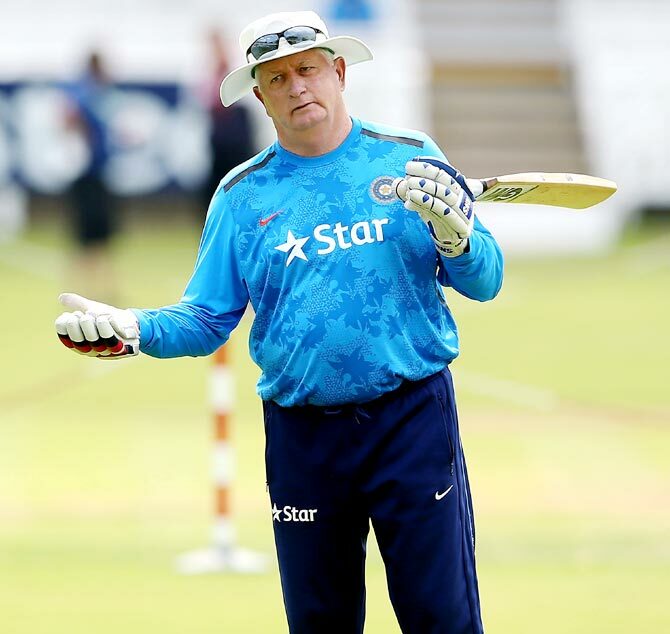 "Chopping and changing your slip fielders doesn't help," said former England wicketkeeper Alec Stewart. "First of all you want to have a regular first-slip. That helps in growing the relationship between the wicketkeeper and first slip. Once they play together for some time then they are able to understand each others' territories better. This way the 'keeper knows what chances he can let go to the first slip and the fielder knows which chances the keeper will let go to him. Not having a regular firs-slip makes this process all the more harder," he added. When the ODI series gets underway, Vijay will not be standing at first slip since he is not part of the squad. It could be anyone from Shikhar Dhawan, Ajinkya Rahane, Rohit Sharma or even Ravindra Jadeja, meaning again a different player at first-slip. The new management, under Shastri, will do well to sort out this particular mess first.